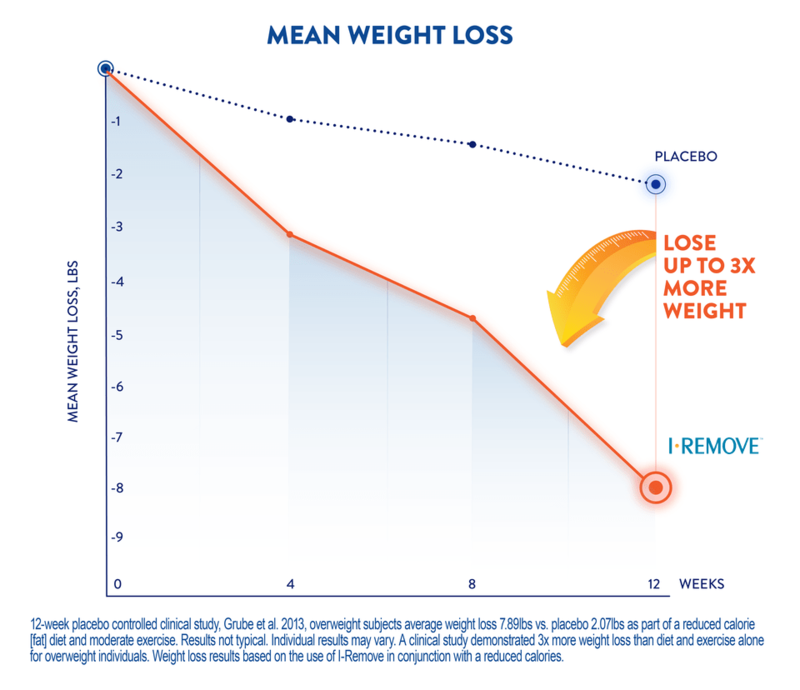 In clinical studies, I-REMOVE was shown to help people lose up to 3X more weight than dieting alone.  In a 12-week (double blind, placebo-controlled) study, those taking I-REMOVE, when compared to the placebo group, showed a greater reduction in BMI, waist circumference, and body fat mass. I-REMOVE works with the body’s natural digestive process to bind fat molecules from food, which are gently expelled from the body. In clinical studies, I-REMOVE was shown to bind up to 28% of fat from food. 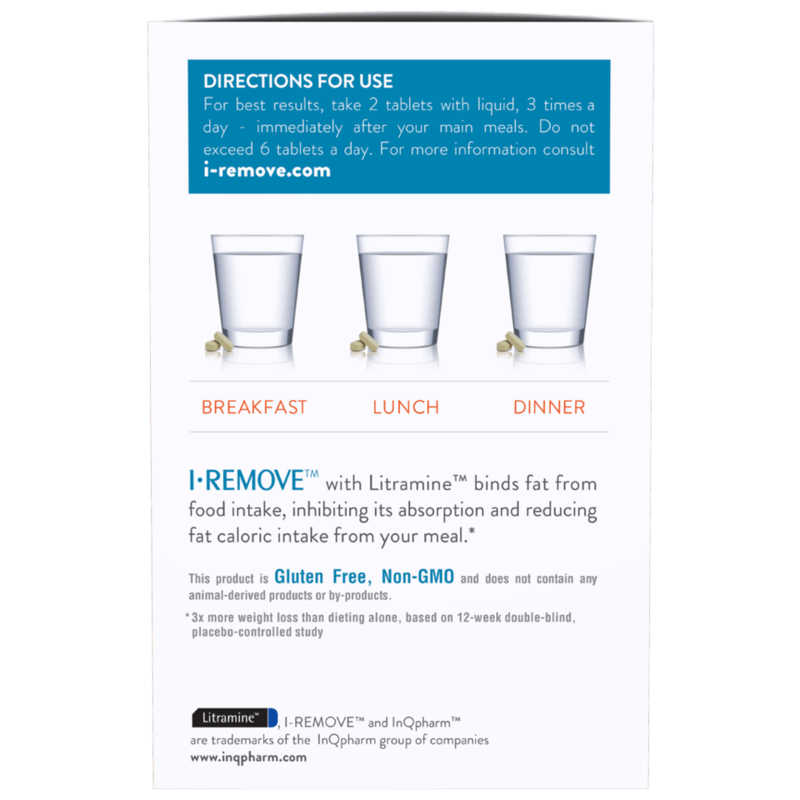 In a 6-month clinical study, the group taking I-REMOVE was 4X more likely to report an increased feeling of satiety. 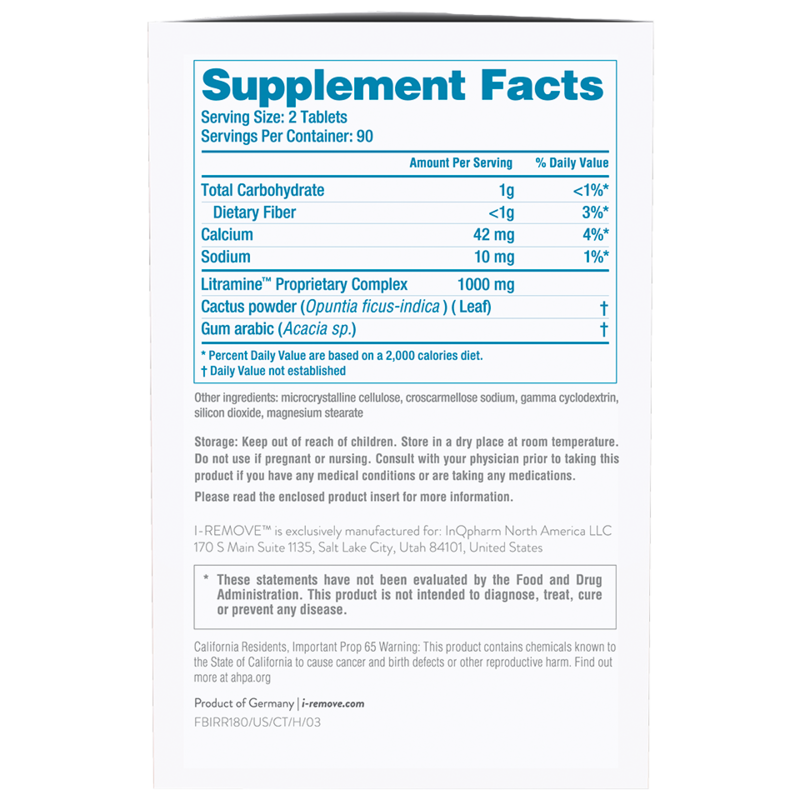 I-REMOVE has a plant-based formula that contains no caffeine, stimulants, synthetic metabolic enhancers, or fat-blocking chemicals. The product was well tolerated by human subjects in all clinical studies. In clinical studies (conducted with human subjects for up to six months), I-REMOVE consistently demonstrated exceptional tolerability, with no undesirable side effects. Over the 11-year period that I-REMOVE has been on the market, only 0.003% of users have reported any product-related health complaints. Slight constipation may occur, which can be remedied by drinking more water. "I have so much energy. I can play with my daughters and still have the energy to workout. With I-REMOVE I can still have my cheat meals and not feel like I'm missing out." "The reward is that my clothes fit better and I feel better in my clothes. I like that. Shedding these unwanted pounds has definitely improved my mood." 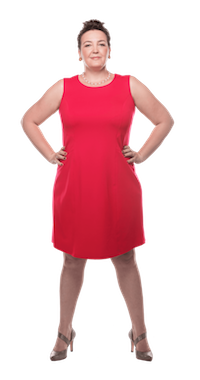 "It helped me get over my plateau. Now when my husband tells me that I'm beautiful... I believe him. Because I see it now. I feel pretty now." "I'm wearing things I have not worn in years. I can go bowling again. I can cross my legs again." "My daughter says that I look better than I used to and I think that's great. I'm a lot more comfortable with my body image. I want to be in pictures again." **Results not typical. Individual results may vary. Individuals received free I-REMOVE and lifestyle counseling for 12 weeks. Based on the use of I-REMOVE in conjunction with a reduced calorie diet and regular exercise plan. 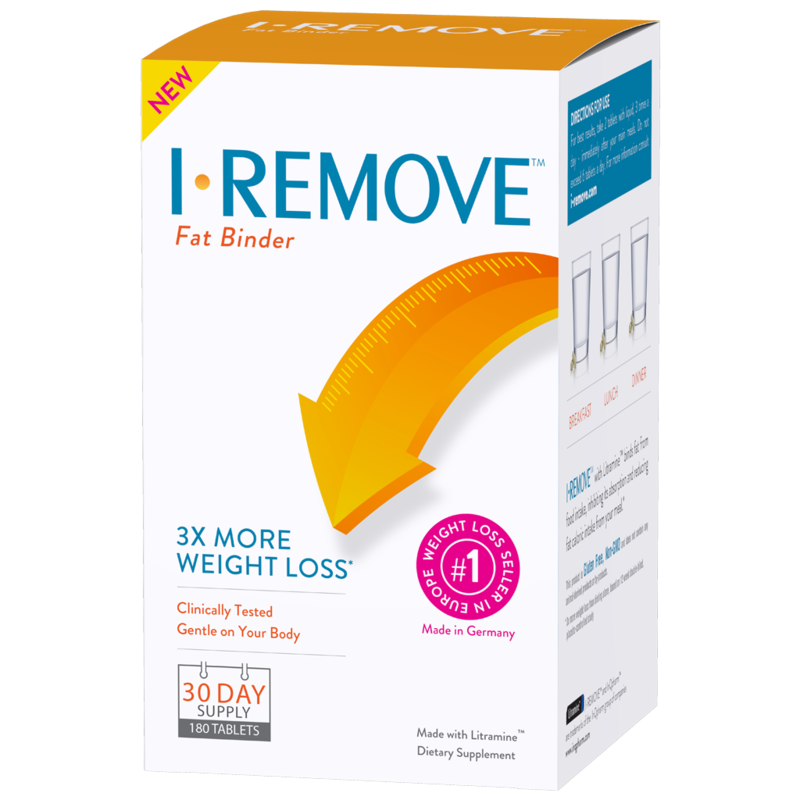 I-REMOVE is most effective for people who are dedicated to doing their part by eating better and moving more. Are you ready to commit and try I-REMOVE to amplify your weight-loss efforts? Do not take I-REMOVE if you are pregnant or breastfeeding, if your BMI is below 18.5, or if you are allergic to any of the ingredients. If you have a pre-existing health condition, you should consult your healthcare professional prior to use. Take 2 hours apart from fat-soluble supplements and medications, including contraceptives.